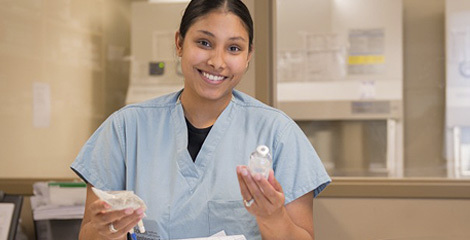 Patients at our outpatient chemotherapy clinic receive treatment, education and support by specially trained and skilled nursing staff and pharmacists. Chemotherapy is provided on an outpatient basis in our state-of-the-art clinic, with an on-site satellite pharmacy that prepares the prescribed chemotherapy regime. 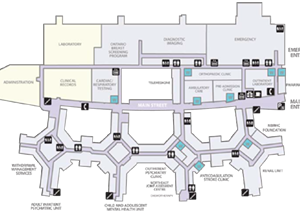 We are an outreach Chemotherapy Clinic of the Regional Cancer Centre of Health Sciences North (HSN), meaning that patients are referred to us by an oncologist from Sudbury to improve accessibility of care and decrease travel requirements for patients in our community. Prior to the first chemotherapy treatment in the clinic, patients meet with the nurse and pharmacist. Patients are assessed and given written information specific to their drug treatment program. An Internal Medicine Specialist (Internist) is available for any chemo related problems. In addition, the internist will see any patients that have not seen their oncologist and are starting a new course of treatment. 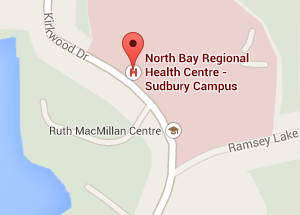 We have quick access to the oncologists in Sudbury when needed, offering the best cancer care treatment. 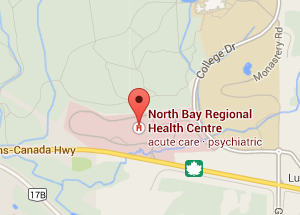 Please bring your Ontario Health Card with you.